“As the ACBC Social Justice Statement noted in 2011 and 2012, we know that the majority of Australia’s prisoners come from the most disadvantaged sections of the community: Indigenous people, the underprivileged and those suffering mental illness,” Bishop Brady said. “We thank those working in prison chaplaincy for their tireless, difficult and dedicated work, serving those unseen members of our community and supporting prisoners’ families through trying times. 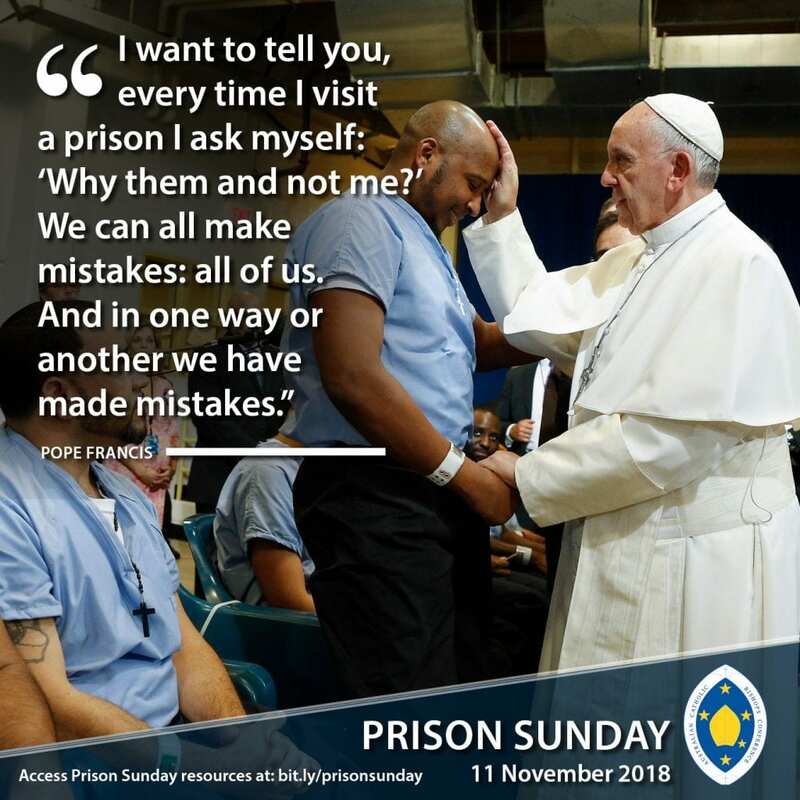 “We remember the words in our Prayer for Prisoners, that God has great love for us all and that he is a ‘God of Mercy and forgiveness’,” Bishop Brady added. “Many Catholic Church agencies work in this area and can be valuable sources of information to discover how parishes can help those in need,” he concluded. For more information and resources about Prison Sunday, Click Here.